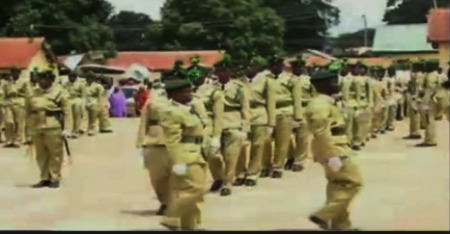 A total of 39 Controllers of the Nigerian Prisons Service (NPS) on Friday completed a six-week advance management training aimed at repositioning correctional services. Does this mean that prisoners in their care will be better treated and the need to stop our prisons from making inmates worse criminals will be better appreciated? The Comptroller General of NPS, Ja’afaru Ahmed, said the training is aimed at equipping the controllers with prerequisite managerial and leadership skills for their next rank of Assistant Comptroller General of Prison (ACG). This means it is more like the usual promotion course for officers within the agency and there may not be much for citizens to celebrate. The positive, however, is that the participants are promising to make some positive change. Speaking on behalf of the participants, the overall best student of the course, Tunde Ladipo, called on his colleagues to use the skills acquired at the academy to transform the prisons. Ladipo, who is Controller of Prisons in Lagos State, acknowledged that the prisons were correctional centres established to reposition and refine inmates. How well they will be able to fulfill this promise is what no one can bet on. The 8th Advance Command Course for the Controllers of Prisons was held at the NPS Academy, Ijebu-Igbo, Ogun State.